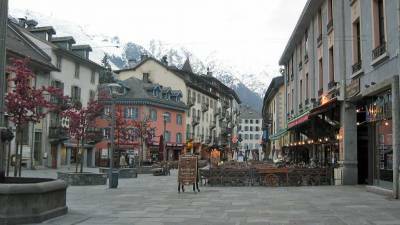 Wander the quaint streets of Chamonix. Aiguille du Midi – Ride the cable car from Chamonix to the 14,000 foot level of the Mont-Blanc massif of peaks. 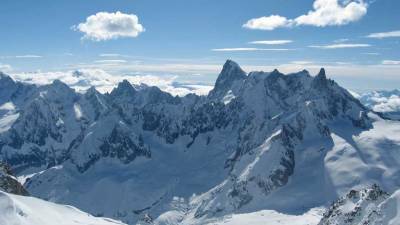 See Mont Blanc and the impressive Grandes Jorasses peaks. For the more adventurous, continue on the four person cable car for a high altitude trip to Helbronner Point and Italy. This is the highest altitude cable car in the world. Mer de Glace – ride the Montenvers cog train for 20 minutes from Chamonix to the Mer de Glace ice field. 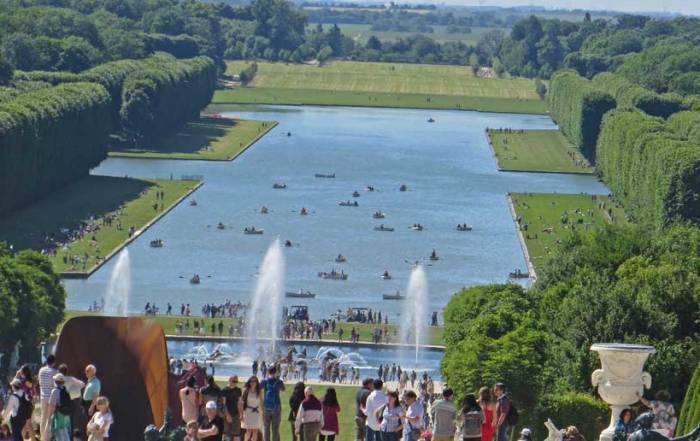 Then take a short gondola ride down to the ice. 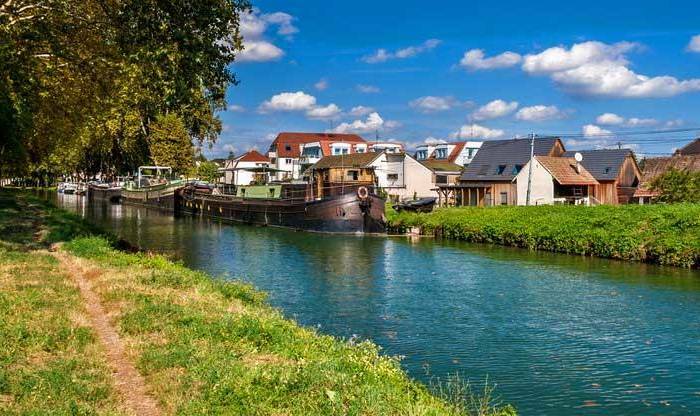 Brevent Cable Car – head to the opposite side of the town from the Augille du Midi cable car station. Take a gondola to Plan Praz and the restaurant there. Then take another gondola to Le Brevent. Not for the faint of heart. The Mont-Blanc Tramway – France’s highest cog train, departing just southwest of Chamonix in Saint-Gervais. In December Chamonix Mont-Blanc weather is perfect for skiing, as temperatures seldom go above freezing. 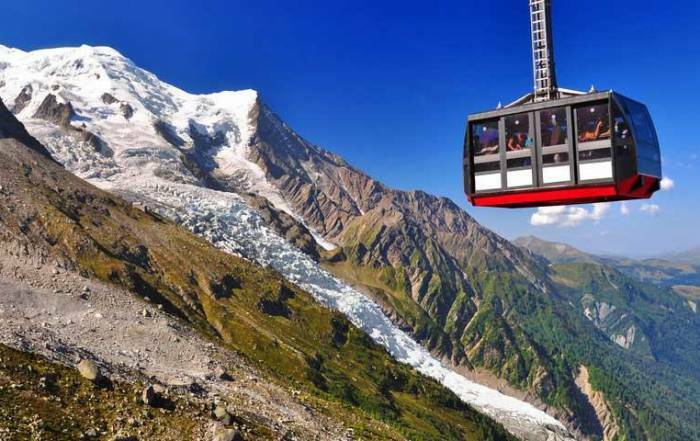 From June to September the Chamonix Mont-Blanc weather bring passengers on its numerous cable cars, gondolas and cog trains. Even in May, the warm temperatures in the valley don’t give any indication as to the freezing temperatures at the top of the Aiguille du Midi. Many climbers ride the cable car up and pick axe their way back down. The route to get to Chamonix Mont-Blanc is not a simple matter. 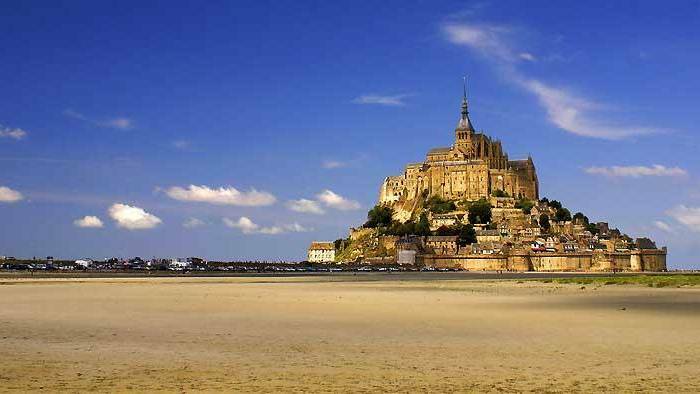 To get to Chamonix Mont-Blanc by from Paris takes a full, including several transfers. You can get to Chamonix from Geneva by vehicle in about 45 minutes or slightly longer by train. You can also get to Chamonix Mont-Blanc from Turin, Italy in a couple of hours. While you are in Chamonix, the main ways to get around are either through arrangements made at hotels or by the riding the train along the Chamonix – Vallorcine valley. The Montevers train station to Mer de Glace and the Aiguille du Midi cable car are both short walks from the Chamonix Mont-Blanc train station. About 10,000 people live in Chamonix, France. The town is in the north-west Alps, about 10 miles from the Swiss border. A tunnel under Mont Blanc takes you straight in to Italy. Chamonix was the site of the first winter Olympics. It’s in a glacial valley bounded by high mountain ranges on either side. Swiss ingenuity has added gondolas and cog trains on both sides of the valley. 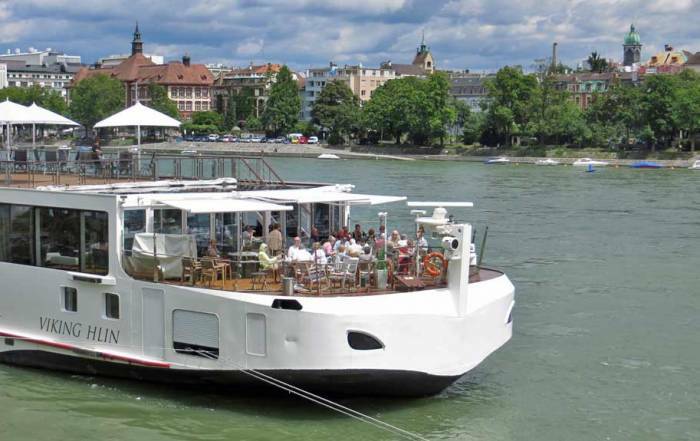 Restaurants, cafes and observation decks complete the high alpine experience. 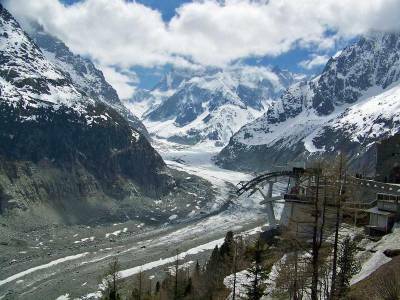 A cog train runs up to the glacier at Mer de Glace. 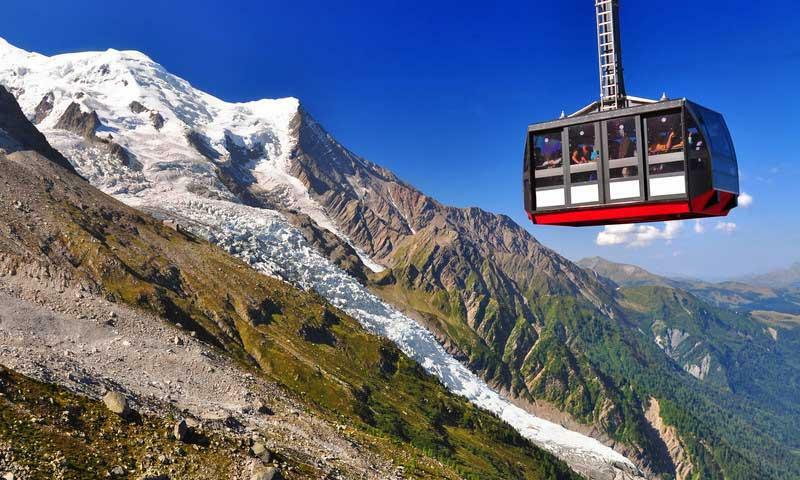 The Aiguille du Midi cable car takes you to the 14,000 foot level of the Alps for great views of the mountains and the village of Chamonix in the valley below. Mont Blanc summit is a mountain where thousands of mountaineers have been standing since 1786. Developing mountaineering techniques and alpinism (a climbing style that involves climbing the shortest route of a mountain, with the least load, in the shortest time) in the Alpine Mountains spread all over the world.